ARE YOU THINKING OF GETTING AN IMPLANT TOOTH REPLACEMENT? Why to go anywhere else when you can get your treatment done at the INDIA’S ONLY SUPERSPECIALITY IMPLANT DENTAL HOSPITAL, at a very affordable price. WHY ZENTAL DENTAL CLINIC ONLY AND NOT ANYWHERE ELSE? We also have more than two decades of experience in all types of dental treatment, ranging from GENERAL DENTISTRY to COSMETIC DENTAL TREATMENT, TMJ CURES, PAIN RELATED TREATMENT, SMILE MAKEOVER, ORTHODONTIC TREATMENT and CHILD DENTISTRY. WE ARE TECHNOLOGICALLY THE MOST ADVANCED DENTAL IMPLANT CENTRE IN THE ENTIRE COUNTRY. ARE YOU AGAIN THINKING WHY? We are the ONLY dental clinic in entire country to be equipped with KODAK 3D X-RAY SYSTEM within a clinical setup. This is one of the most advanced technologies dedicated for only dental work. With the help of 3-D x-ray implant can be placed in the jaw bones, in most of the cases without raising any flap or making any cut in the mucosa. Rather just a KEY-HOLE punch is used to place the implant. v) MINIMAL REQUIREMENT OF PAIN KILLERS. Since the area exposed to x-rays is kept MINIMAL while focusing only on the area of interest required from the perspective of dental treatment, the adjacent areas like brain; eyes etc. are protected from unwanted radiation exposure. THE RADIATION EXPOSURE IS 300 TIMES LESSER THAN MEDICAL CT SCAN. The amount and duration of radiation exposure has serious detrimental effects on body cells and tissues. Thus keeping the radiation exposure to minimal while any treatment procedure is a big challenge. KODAK 3D X-RAY SYSTEM takes only 15 seconds ( as compared to a CT scan which approximately takes around 20 minutes to 1 hour)to scan your entire jaw while capturing even the minutest details. THIS 3-D XRAY SYSTEM allows us to take a 3-dimentional image of the implant, which is not possible even in a CT scan also. This allows us to adjust the direction of the one piece implant during its placement. 8. 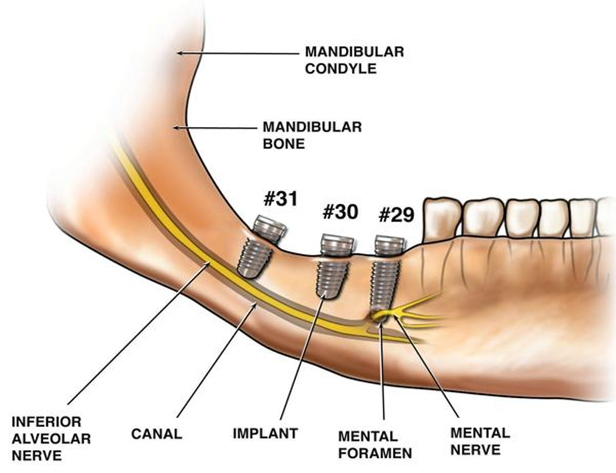 HELPS IN CHOOSING THE BEST IMPLANT SIZE FOR THE PATIENT. According to the individual patient’s need. 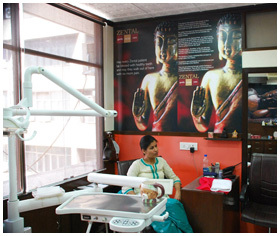 We are equipped with 25 IMPLANT SYSTEMS, which only one fifth of other clinics in the entire country would possess. We are especially famous for SCREWLESS, ONE-PIECE, FLAPLESS (minimal surgery or ‘KEY HOLE’ surgery), SINGLE-SITTING IMPLANT PLACEMENT. 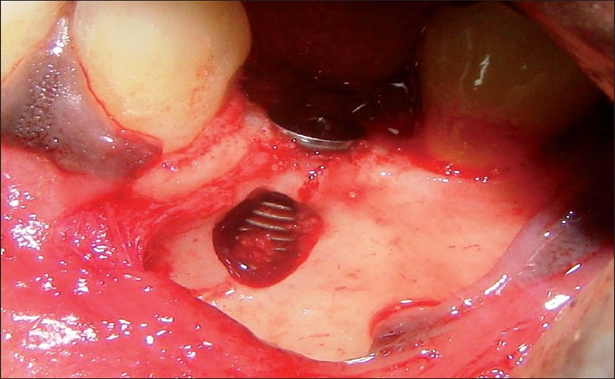 ADVANTAGE OF ONE PIECE IMPLANT: absence of SCREW or other modality like MORSE TAPER between two parts of the implant. DISADVANTAGE OF TWO-SCREW IMPLANT: Presence of screw between the two parts of implant. Screw has a tendency to loosen from time to time thereby putting patient to great discomfort, repeat appointments, SCREW BREAKAGE which mostly requires cutting of the implant which results in great loss of bone around the implant and an extended complicated surgery. With the availability of such wide range of implant systems we can replace any lost tooth in your mouth to give back your lost smile and confidence. We have provided MORE THAN 1000 SUCCESSFUL IMPLANT tooth replacement to our patients at a very AFFORDABLE PRICE .We also have patients coming to India from various other countries, only to get IMPLANT TOOTH REPLACEMENT done at our SUPERSPECIALITY ZENTAL DENTAL IMPLANT HOSPITAL. We feel glad to say that we have been able to achieve OUTSTANDING PATIENT SATISFACTION. SO IF YOU ARE PLANNING FOR AN IMPLANT TOOTH REPLACEMENT, GET YOURSELF TREATED WITH AN UNMATCHED EXPERTISE ON AN UNMATCHED TECHNOLOGY AT ZENTAL DENTAL IMPLANT HOSPITAL. HOPE TO SEE YOU SOON AT OUR CLINIC STEPS TO HAVE THE BEST, MOST ADVANCED AND PAINLESS IMPLANT TOOTH REPLACEMENT EXPERIENCE.